When it’s time to finally tackle that San Luis Obispo Yard Cleanup project you’ve been putting off, contact the professional crew at Dan’s Landscaping Company. Our fast efficient service will have your yard looking sharp in no time. We provide superior products and services for home and business owners throughout Central Coast. Our San Luis Obispo landscapers provide year round comprehensive yard clean up that includes removal of leaves, brush, weeds, and other pesky plants. Other services include pruning dead, infected, and unwanted tree foliage, shrubs, decorative plants, and recurring vegetation along with leaf and brush removal. And when the cleanup is done we can help you create an entirely new landscape. We offer a number of seasonal and year round products that will revive your yard into a mini paradise. Whatever you style we can match your entire architecture and patio or walkways. 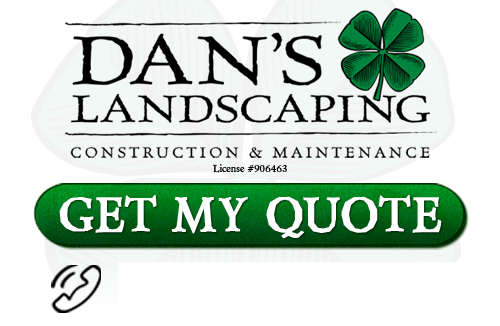 Contact Dan’s Landscaping Company today to take advantage of all our industry leading services & products. Dan’s Landscaping Company is the #1 San Luis Obispo Yard Cleanup solution for all of your yard cleanup needs. We specialize in providing professional cleanup services for both residential and commercial jobs. If it’s outdoors, we do it! Our experience, professionally trained employees provide reliable and thorough work and we always offer free estimates. Your satisfaction is our guarantee! Let Dan’s Landscaping Company take care of all your San Luis Obispo Yard Cleanup services needs. 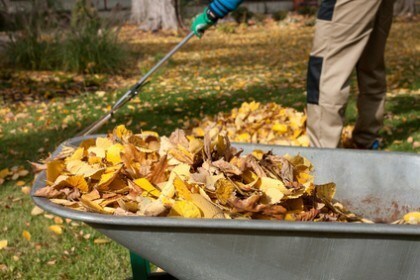 The importance of Spring & Fall yard cleanup is of tremendous value and safety to you. Common yard foliage such as pine needles, dried tree bark, fallen leaves, dry dead grass & branches are fire hazards. Combine this with dry summer conditions and high temperatures and you have ingredients for fire If the threat of fire is in your neighborhood, all that debris laying on your property is flammable. Protect yourself and take pride in your surroundings by cleaning up your yard. Routine seasonal cleanup keeps your overall yard looking great and allows the grass to breathe. It cuts down on labor which keeps your investment low. It also prevents any problems that could arise in your yard due to neglect. Contact Dan’s Landscaping Company today to restore your lawn to its natural vibrant beauty. We guarantee all our work. We’re not done until you are completely satisfied. We provide free consultation and estimates and you’ll love how affordable we are. We keep you informed throughout the entire process from original design to final finish. We only cleanup what you want us to and never tear our or get ride any plants that you do not want us to. Put your mind at rest by hiring skilled professionals. Experience the Dan’s Landscaping Company difference. If you are looking for professional San Luis Obispo Yard Cleanups then contact Dan’s Landscaping Company at 805-550-5488 or complete our online request form.